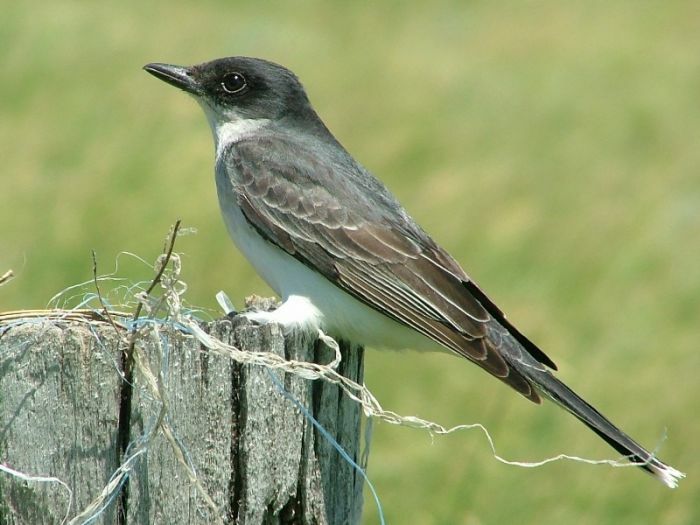 A pair of Eastern Kingbirds built a nest on the top of a rotted fencepost. We checked on the nest periodically and saw 2 of 3 nestlings fledge successfully. Kristian Stenslie took this photo south of Mandan.